Close to 4000 sorties have been planned through the day and night across the length and breadth of the country. Simulated strike missions by IAF fighters also extend deep into the Indian Ocean. The Indian Air Force or IAF is set to hold one of its biggest wargames specifically designed to deal with any simultaneous threat posed by Pakistan and China. 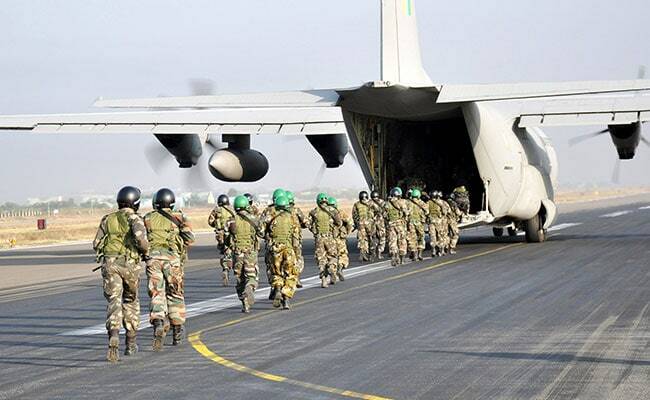 The exercises, called Gagan Shakti 2018, are scheduled to take place anytime between the April 11 and 21 and will see the Indian Air Force mobilise 1100 aircraft including fighters, transports and helicopters. 15,000 men and 300 officers are participating in the exercises which include joint operations with the army and the navy. For the first time, the made in India Tejas light combat aircraft, which is being inducted into the IAF, will be taking part in these exercises and will be used for both air defence and ground attack missions. The success of individual missions, such as simulated air combat operations, will be gauged in real-time by the IAF headquarters which wants to ensure that these exercises "are as real as they get without any shortcuts." This is critical for the IAF which finds itself short on aircraft, particularly in its fighter fleet, a major deficiency it is looking to overcome through acquisition of more than 100 fighter jets for which the government today released a Request for Information (RFI) from international aerospace majors.